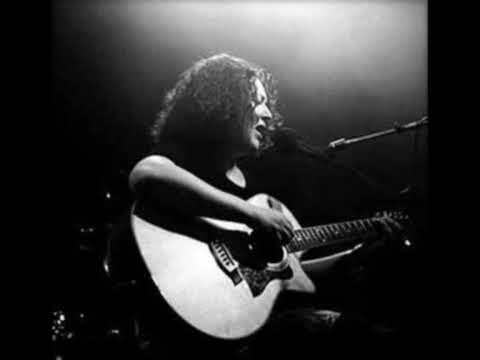 Kathryn Williams is a singer-songwriter whose music has been described as 'genius' (Time Out), 'endlessly moving' (MOJO), and 'sheer perfection' (The Times). Her second album 'Little Black Numbers' won a nomination for the Mercury Music Prize, which helped gain Kathryn a wider audience, and a spell with East West (a subsidiary of Warner Records). Since then Kathryn has released a string of albums full of immaculately crafted songs, set up her own record label 'Caw Records' and collaborated with artists such as Neill MacColl, John Martyn, Badmarsh and Shri, and Thea Gilmore. 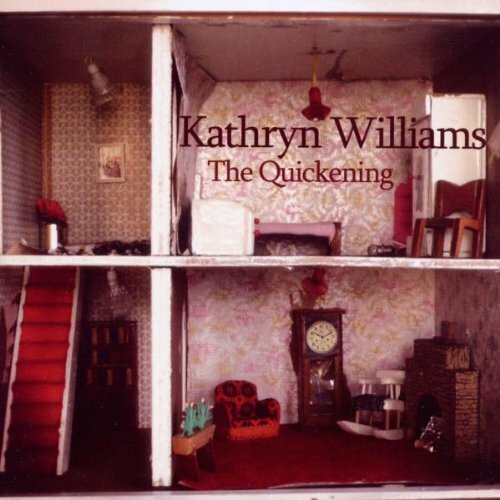 Kathryns most recent album 'The Quickening' was released in 2010. Here she shares her songwriting tips. Do you have a daily songwriting routine or do you wait for inspiration to strike? I have one full day every Monday. I take a book with me everywhere. I have co-writing days in London and elsewhere. Do you have any tricks to get the creative juices flowing? No. Sometimes they don't. But I don't wait around. I paint, read, mess about with pedals, tidy, or listen to the radio. Then when I'm not looking... inspiration creeps back into the room. Do you find you normally start with a melody or lyrics? No rules. Do you think that melody is the most important aspect of a song? It all has to work, but that's what you hum. How long does it take you to write a song? Anything between 5 minutes and 3 years. Could you explain a little about the writing process behind a few of your songs? 'Flicker'- came out my head like a radio. I had to run to and write it down and sing it all day at work to remember it. 'Hollow' - the lyrics were written and rewritten over two years and then made into a song in an hour. 'When'- written quickly round a piano, then the lyrics were honed and edited so it flowed and had punch. What songs that other people have written do you particularly admire? Ron Sexsmith- 'Secret Heart', Smokey Robinson- 'The Tracks Of My Tears', Gillian Welch- 'Time (The Revelator)', Brian Wilson- 'In my Room', Joni Mitchell- 'Blue', Leonard Cohen- 'That's No Way to Say Goodbye', and anything by Bob Dylan, Carole King and Neil Young. Do you think that a technical knowledge of theory is important or does it get in the way? Dunno... Never had it. Do you tend to revisit your songs and rewrite them? If they need it. Do you write songs with a view to being commercial and following current trends? Never on my own, but if it's asked for on a co-write brief... Yes. Have you done much co-writing, and if so what do you see as the benefits? There is always benefits in co-writing, even if the result is of no use. Who do you view as great songwriters. Who has inspired you musically/ lyrically? Leonard Cohen, Bob Dylan, Carole King, Gillian Welch, Bonnie Prince Billy, Joni Mitchell, Brian Wilson, Chris Difford. Do you feel that when there's conflict/struggle in your life that it inspires better songs? Sometimes.... But I am a writer so I make things up. Do you have any idea where you ideas come from? A small island that floats between my ears. Do you have any advice you'd like to share with budding songwriters out there? Don't wait for inspiration. Work. Expect bad songs. Learn from them, throw them away. Surround yourself with talent to aim towards. Be brave enough to be yourself. Click on the following to find Kathryn on the web.